Or as low as $209.81 per month over 6 months. Apply Now. The JL Audio Marine MX280/4 can do a few things more than playing music while you’re out tearing it up off road or on the water. JL Audio Marine MX280/4 compact 4-channel amplifier can send 50 watts RMS to each of your speakers so you’ll enjoy your music’s clarity and power over all the noise of you having fun. Or, for some real power sports, you could use this amp in bridged 2-channel mode to drive a couple of high-performance speakers with 140 watts RMS each. JL Audio Marine MX280/4 comes equipped to overcome the dangers of weather, dirt, and corrosion, thanks to a tough aluminum chassis and gasketed control and connection covers. 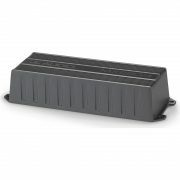 And you won’t have to worry about getting caught in the rain — this amp carries a full IPX6 rating against water intrusion, so it’ll play on through a storm. JL Audio’s NexD Class D amp technology found in the JL Audio Marine MX280/4 delivers full-range power efficiently and with low distortion. You’ll get remarkable sound quality from an amp that fits into the kind of tight spots often found in marine applications. It’s also ideal for your motorcycle, ATV, golf cart, tractor, or any other vehicle using a 12-volt charging system. 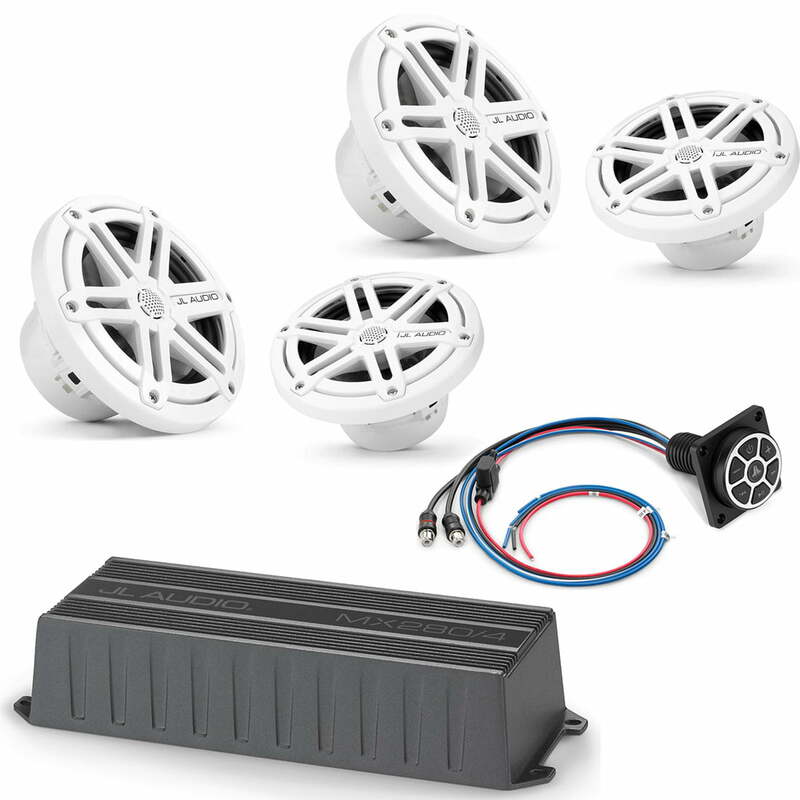 These JL Audio Marine MX650-CCX-SG-WH speakers deliver powerful sound that’ll cut through the combination of wind, water, and engine noise. The weatherproof cone is suspended in a durable synthetic rubber surround, and a UV-resistant polymer basket surrounds and protects the entire structure. 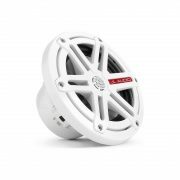 The 3/4″ treated silk dome tweeters render brilliant highs, mounted directly to the white “Sport Grilles” for optimal sound radiation. You’ll hear all the details of your music, even when the throttle is forward and you’re skimming over the waves. Get more out of your maritime music experience with high-performance JL Audio marine audio gear. 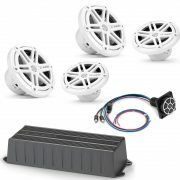 These JL Audio Marine MX650-CCX-SG-WH 6-1/2″ marine speakers combine rugged design with outstanding sound reproduction. 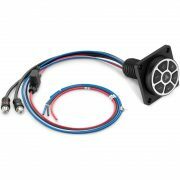 You can mount them in your boat’s cockpit or bulkhead walls, either as stand-alones or in conjunction with a subwoofer. 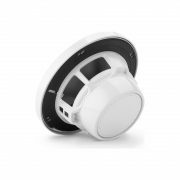 The JL Audio Marine MX650-CCX-SG-WH 6.5-inch coaxial speaker is designed around the standard marine 6.5-inch speaker format and features a wide mounting flange with a four hole mounting pattern. Although JL Audio Marine MX650-CCX-SG-WH Coaxial Systems can be used with as little as 20 W per channel, for best audio performance we recommend amplifiers capable of between 75-100 W of continuous power per channel. Marine Tested: JL Audio’s marine speakers are built to exceed industry standards for Salt-Fog and UV exposure. They are exposed to ultraviolet testing chambers to simulate years of sun exposure, and salt fog chambers to simulate years of exposure to salt-water environments. Corrosion and UV-resistant materials are used throughout. 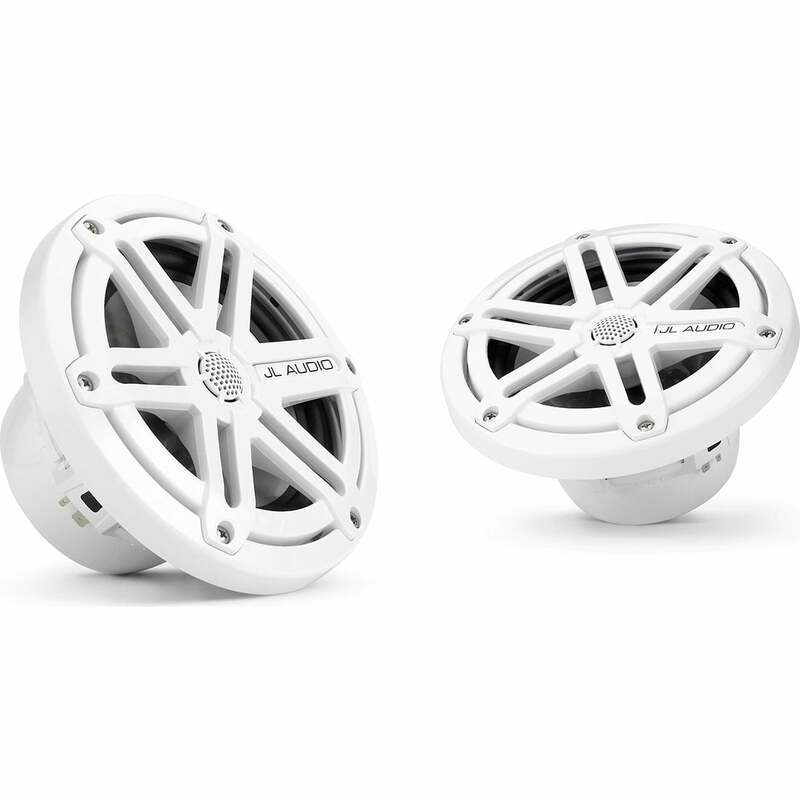 Woofers: The JL Audio Marine MX650-CCX-SG-WH speakers feature injection-molded, mica-filled polypropylene cone woofers with UV inhibitors, synthetic rubber surrounds, and precisely engineered dust cap profiles for smooth upper-end response. 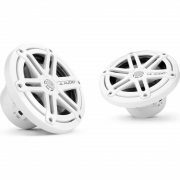 The woofers also use marine-grade synthetic fiber spiders with a progressive roll design to withstand high humidity. DMA (Dynamic Motor Analysis): DMA is JL Audio’s proprietary method of improving dynamic motor behavior. 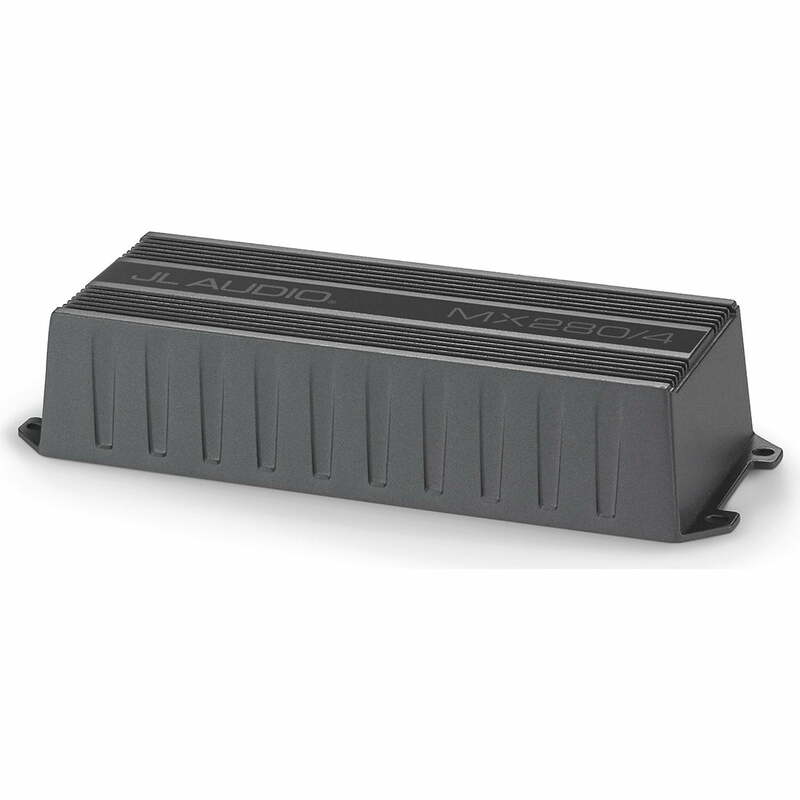 The DMA optimized, long-excursion design enhances output, bass extension, and power handling of the speaker. Tweeters: The speakers feature 3/4″ silk dome tweeters with a specially formulated treatment to withstand UV and salt-spray exposure. The dome tweeter uses a neodymium magnet for higher efficiency levels and is Ferrofluid-cooled and damped for improved response and power handling capabilities. Polymer Basket and Grille: The specifically engineered polymer baskets are corrosion and UV-resistant and encapsulate the woofer’s motor system to prevent corrosion. JL Audio Marine MBT-CRX adapter is the simplest way to add Bluetooth audio streaming capability to almost any stereo system. Compact, tough, and weatherproof, it’s ideal for boats, motorcycles, ATVs, golf carts, and more. With a 35-foot operating range, this IPX6 water-resistant adapter will add the convenience of Bluetooth audio streaming to your boat or powersports vehicle without a lot of muss or fuss. The JL Audio Marine MBT-CRX gives you control over your Bluetooth® device using AVRCP (audio/video remote control profile). Once you install this adapter, you’ll be able to scroll up and down to find the track you want, turn the volume up or down, play/pause, and power the device on or off. Pairing takes about 20 seconds for Apple® or Android® phones, and reconnection is easy and reliable. 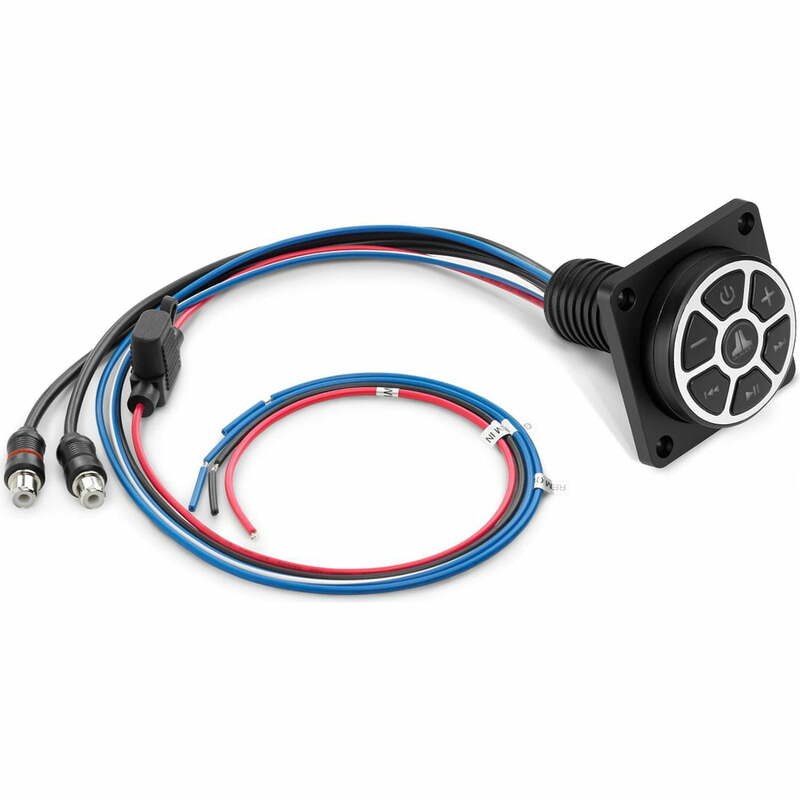 The MBT-CRX connects to any amplifier with line-level inputs or to any source unit with an auxiliary input, so it works with a wide variety of marine- and outdoor-ready systems. Designed for marine and powersports applications, the JL Audio MBT-CRX Bluetooth Controller/Receiver lets you wirelessly connect your Bluetooth equipped devices (like iPod/iPhone/iPad, Android smartphone/tablet, Blackberry, Windows Phone, and more) to your audio system. The JL Audio Marine MBT-CRX Bluetooth Controller/Receiver is Bluetooth version 4.0 certified with support of Bluetooth profiles A2DP & AVRCP for wireless music streaming and control. With the MBT-CRX Bluetooth Receiver you’ll be able to stream stored music and music apps from your Bluetooth-enabled mobile device to your audio system. You’ll also be able to control basic playback functions like Play/Pause, Previous/Next Track, and Volume Up/Down. Advanced music navigation and song/artist information will still be handled by your Bluetooth-enabled device. Multiple devices can be paired with the MBT-CRX Bluetooth Controller/Receiver, but only one can be used at a time. Not all Bluetooth devices will be compatible. With an IPX6 water resistance rating, the JL Audio MBT-CRX Bluetooth Audio Controller/Receiver is engineered to be water resistance with an IPX6 rating. Use the JL Audio MBT-CRX Bluetooth Audio Controller/Receiver’s stereo pair of RCA outputs to connect to any amplifier or source unit with line-level/auxiliary inputs. The MBT-CRX Bluetooth Controller/Receiver will require a hard-wired power (red) and ground (black) connection. It also features a remote turn-on (blue/white) for your head unit and remote output (blue) for your amplifier. The MBT-CRX Bluetooth Controller/Receiver requires just a single 1.125″ (diameter) hole for installation. Its easy-to-install threaded-collar mounting system can accommodate installations in flat surfaces up to 1.75″ thick. A front-mounted adaptor plate is included for installations in panels exceeding 1.75″ thick, or where rear access is limited or not possible. – Recommended Amplifier Power (RMS): 20 – 125 W / Ch.